Numbers Gotcha by the Throat? Show 'em Who's Boss --! 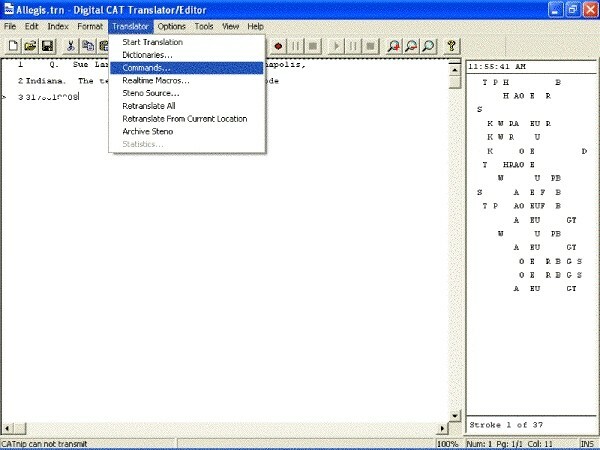 They all need their own formatting ... but how do you do it in digitalCAT? I set mine up so long ago, I had forgotten how to do it ... until I was asked to show someone how, then it (slowly but surely) came back. First, start DC and initiate a realtime session (how else will you know if what I tell you how to do will work if you can't test it?). Next, stroke the numbers out for a phone number ... and stop. Since we're converting a telephone number here (and assuming your theory supports this conversion), feel free to scroll on down to the Make Phone Number command, and select it (that is, click it once). In my theory (Phoenix Theory), the stroke for formatting a telephone number is /T*F. Before you modify anything in here (and if you're not using Phoenix Theory), I strongly recommend looking through your main theory book first to see what stroke you're supposed to use. If your theory doesn't have one, feel free to adopt the included strokes from Phoenix Theory (or any other theory you may find that has the command you're looking for). For the telephone number entry, search your dictionary for the steno stroke T*F). If you don't have this in your dictionary or your theory, see if you can get this to work (no guarantees!). 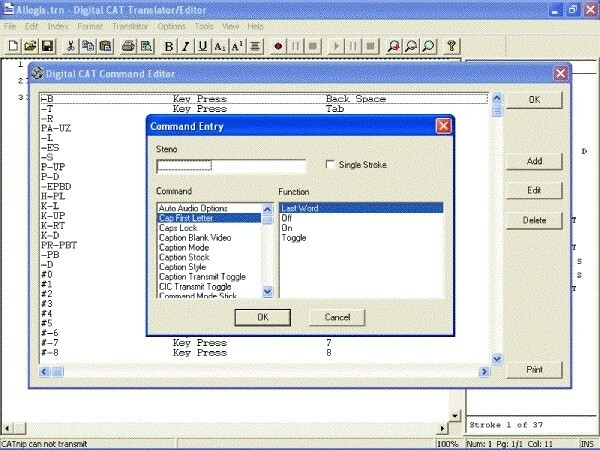 Below we see the steno for the command has been typed in. If this is a single stroke entry, make sure you click the "Single Stroke Entry" check box (yes, I know it goes without saying ... but that's never stopped me before!). Click Okay a few times, and test it ...! Make Phone Number: Got 'er Done --! As long as you're here, what about fixing the SSN and the date entries? Should be just as easy as that first one ...! Q. Is 537001234 your social? Not 100 percent sure on this one, but as soon as you hear ‘social,’ hit the /S*F stroke. 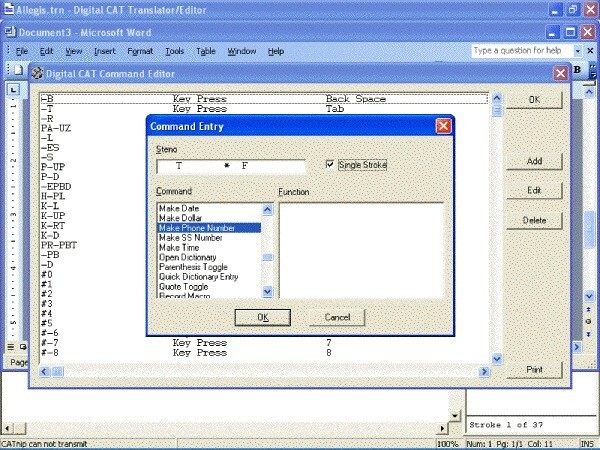 Your CAT software will parse back to the last set of numbers you stroked, and apply the formatting -- provided, of course, your CAT software has that feature (most of them do, nowadays ... and digitalCAT definitely does). I'll leave that task in your capable hands. You've seen it done once ... you know how to do it.